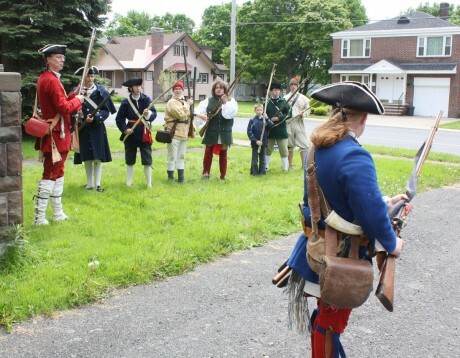 A group of military re-enactors known as Shirley’s 50th Regiment of Foote spent Saturday and Sunday training and showing their skills at the Pratt House museum in Fulton. “Shirleyâ€™s 50th Regiment of Foote is composed of local individuals with a true passion for 18th century history. The unit depicts various military and civilian tasks circa 1755, with a special emphasis on the original 50th Regiment of Foote. They were a group of New Englanders assembled to fight for Great Britain in response to escalating tensions with France in the 1750s.